A good example of one of the earliest available maps of the county. 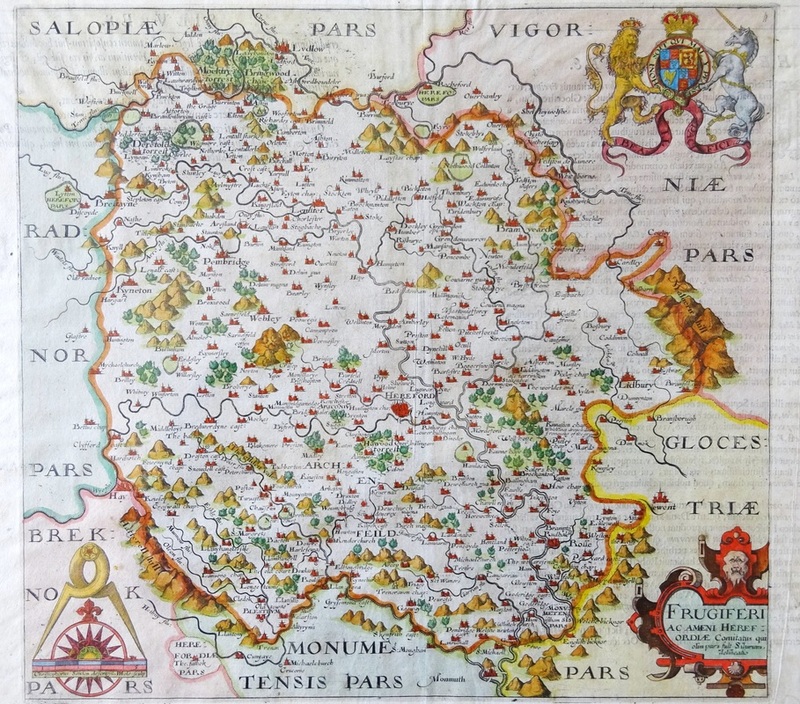 Based on Christopher Saxton's map of 1579, this was engraved by William Hole to illustrate William Camden's "Britannia", the popular history and description of Britain, first published some 30 years earlier but without maps. As an early printing from the plate, here in its first edition, the elegant engraving is well defined.